The Home Office is focusing its attention on suppliers of services that require low-skilled workers. 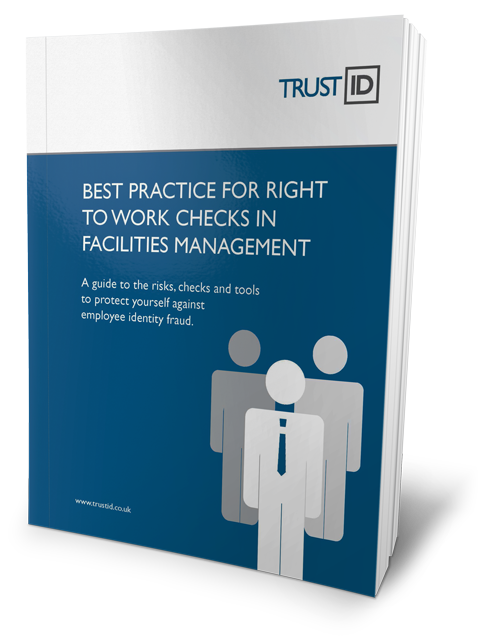 Our guide shows how you can protect your facilities management organisation from fines by adopting best-practice during recruitment and within HR. © 2015 Trusted Terminal Ltd. All Rights Reserved Worldwide. TrustID is a provider of products and services that protect organisations against fraud as a result of false identity claims.